This sweet treat only takes minutes to make - perfect for a busy weeknight. Mix yogurt and dry jelly powder in medium bowl until blended. Add Cool Whip; stir with whisk until blended. 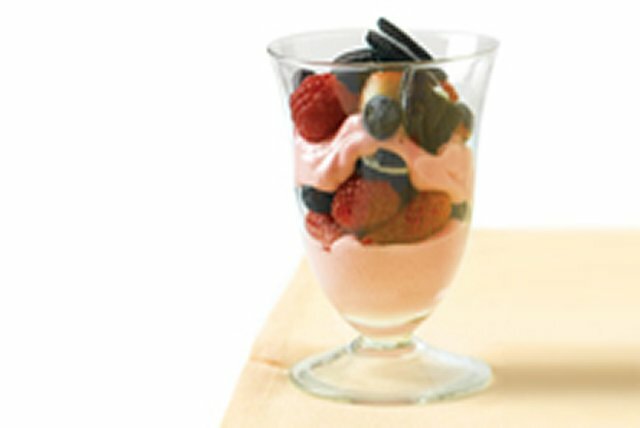 Spoon yogurt mixture, berries and chopped cookies alternately into 6 dessert dishes. Prepare using whatever cut-up fruit you have on hand, such as melon, pineapple, peaches or any of your other favourite fruits.